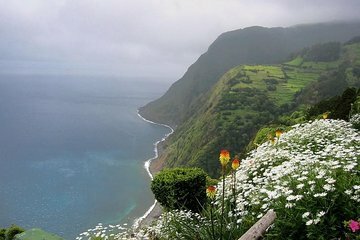 Explore the natural and cultural wonders of Sao Miguel on this full-day tour to Nordeste. With the comfort of a small group, explore the island’s lush gardens, stunning vistas and rushing waterfalls. Meet charming locals and learn about the fascinating geologic history of the island. Additionally, learn about the cultural heritage found in Nordeste, including its handicrafts and gastronomic delights. This was an excellent tour. Our guide Nuno was very knowledgeable about the area. We learned a lot and had a great time in this part of Sao Miguel. This was a great day out. Our guide was very knowledgeable about the area, its history and nature. The sights included and timetable were flexible to accommodate our own interests. The company owner, and our personal guide, Nuno Melo, went above and beyond to ensure an exceptional experience on São Miguel. He adapted the itinerary to our personal preferences, extended countless courtesies and never rushed us. He seemed truly invested in us loving his island - and we do! The tours we booked were fantastic. Our tour guide Nuno Melo was a welcoming, warm and friendly person who showed us many beautiful sites of Nordeste where he gave us an insight into the culture, food and history of the island as well. He made it an exciting day and I would highly recommend this tour that runs through a local tour company.